If you know me personally you already know we have a new grandchild. Prestyn Rhenea was born at 1631 on January 28th, 2013. She came in at 18.5 inches and 7 pounds 7 ounces. 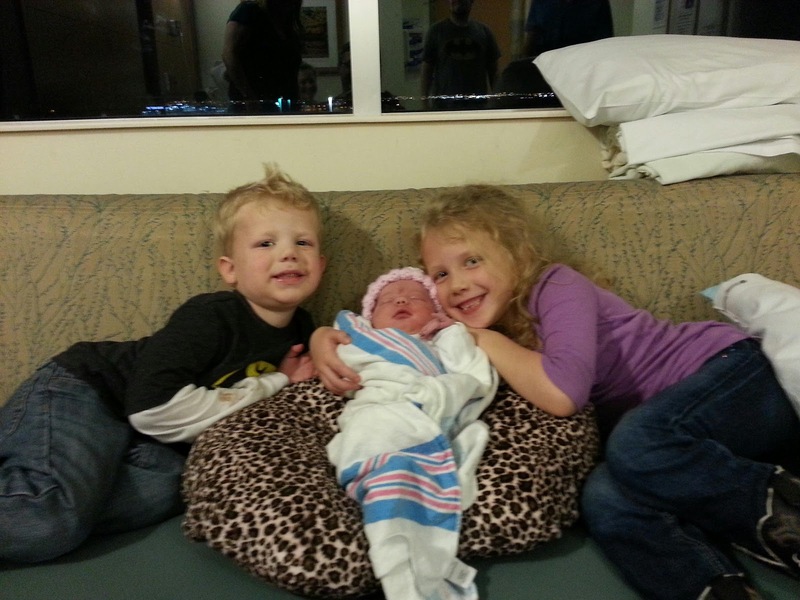 Big brother and big sissy are very happy to have her. Mom and baby are doing great and there were no complications. It is my understanding that Prestyn has quite a set of pipes. Yes, I know they are not wearing seat belts. We only had to drive a couple of blocks in the neighborhood. While we were waiting for baby Prestyn to be born we had the grand kids for a few days. 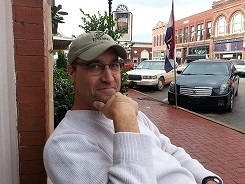 I figured since I once let their mommy drive my 1974 BMW 3.0s around the softball field by the Indian Hills Steak House when she was six years old, I was in the clear. I know what you are thinking “driving?”. She was actually driving, pedals and till all in her control. Obviously, a great time was had by all (in both incidences until mom found out). This is why I am the greatest grandpa in the known universe. 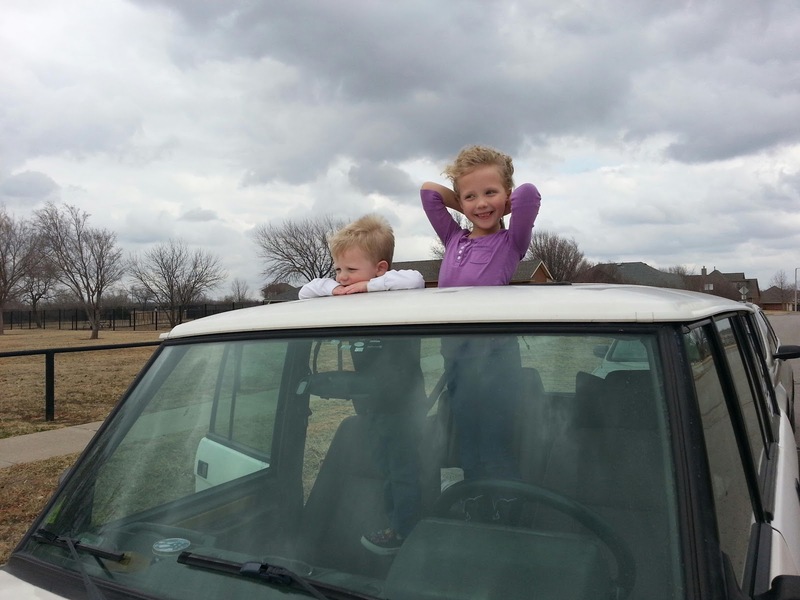 Grand kids love Land Rovers. These two play inside of mine every chance they get. So far they haven’t broken anything that couldn’t be fixed. When I was constructing their playground set a couple of weeks ago they sat in the Range Rover and played with their “See-and-Say”‘s or whatever those tablet things are they got for Christmas. Our Range Rover acts as a defacto human habi-trail when they are near it. Imagine how much fun a roof rack is going to be! Even their dog Paisley (85 pound Lab) was up in the back rummaging around and managed to steal both my water bottles and chew them into unrecognizable shapes. What is it with all the dogs in my life? They are all chewers. So I know this is not “definitive” by definition. It is merely another post about my grandchildren and how proud I am to be a grandfather thrice over. This entry was posted in grand children, Mrs. OkieRover, Okierover, Range Rover Classic. Bookmark the permalink. Congrats on the new grand-baby! I got a grand-boy on Dec. 6th. And we, too, kept the older siblings during the birth of the new baby. They love to come to the Lazy B where they can chase cats and dogs, feed horses, play in a giant dirt pile, etc. 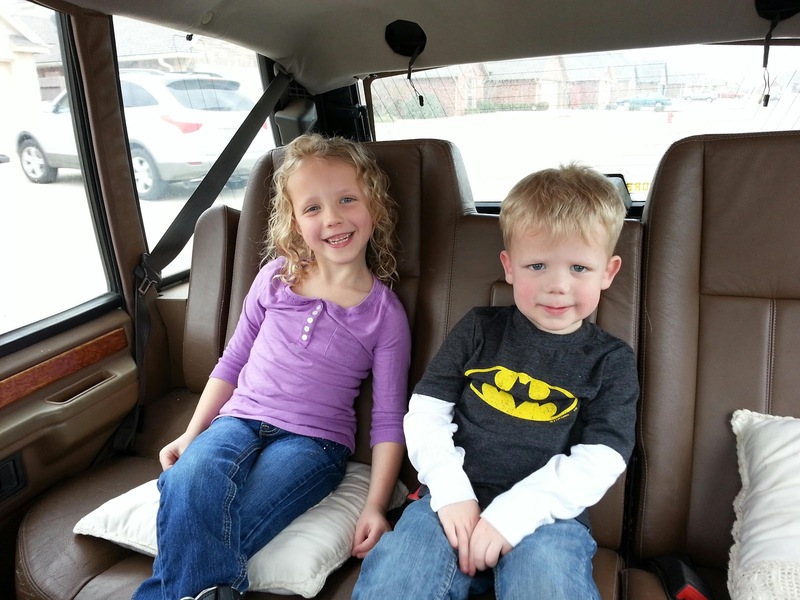 They also like to sit in my lap and drive – sheer joy to be out of their seat belts! Every now and then when I let them do something out of the norm from their very protective mom, I remind them that I was a mom and that their father made it just fine. I remember taking my two youngest out to my friends farm. Erica (at the time 14) drove the tractor and she was hooked. And Drew (at the time 12) got to drive the Range Rover. We moved the seat way up and he was good to go, so my wife said “you can go now” or something to that affect. Only trouble was I was walking in front of the truck at the time. I had to do the Heisman stance and avoid getting run over. He was embarrassed but a minute later we all laughed about it. Good times, good times.